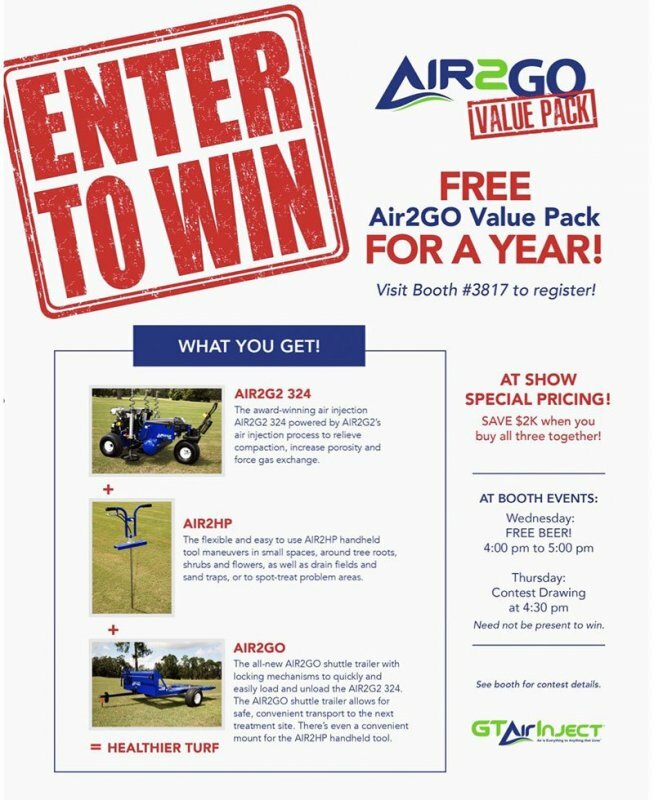 GT Airinject (Booth 3817) is giving away a year-long lease on an Air2Go Value Pack. 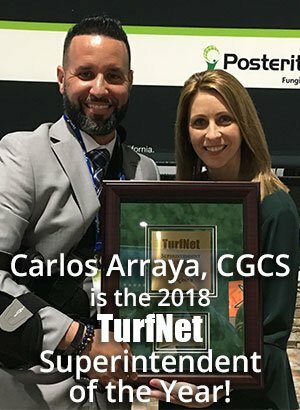 The Value Pack includes an Air2G2 324 machine, an Air2HP hand-held single-prong unit and an Air2GO shuttle trailer for moving the Air2G2 around the golf course and back and forth to the maintenance facility. The drawing of the winner is at 4:30 on Thursday. Interested in purchasing? Save $2,000 on the Value Pack with special show pricing.